The sovereign debt crisis in Greece from 2009-2010 has been instrumental in strengthening trends of public land seizure. The country’s debt contributes to the political weakening of the debtor-State and the impoverishment of the population and the state. The pay-off terms imposed by the Troika on Greece ignore its national social needs and dictate ways of settling the debt, which go against the existing legal and constitutional provisions. Among these, the sale of national assets holds a dominant position. 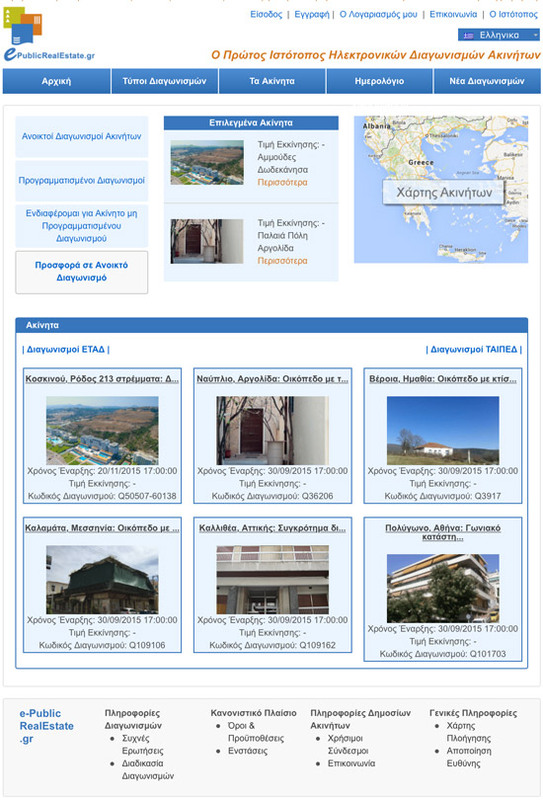 The two main means of usurpation of public land after 2010 are the Hellenic Republic’s Asset Development Fund (HRADF), also known as the “sell-out Fund of Greece” and the privatisation of public bodies, infrastructure and public entities, who hold large pieces of land (PPC, Hellenic railways, ports, airports, etc.). All forms of real estate belonging to the State and to public sector organisations with large real estate asset portfolios have been forcibly transferred to the HRADF without any possibility of being re-transferred to the Greek state in the future. The crown jewel of the privatisation program implemented by the HRADF in Attica is the 620 ha plot of land that includes the former Athens International Airport in Ellinikon and the beach of Agios Kosmas, on the coastal front of Attica (Figure 1). Despite the low sale price, the variety of development plans and the unique location of this large estate, the Ellinikon site attracted few investors. Lamda Development, owned by the Latsis family of ship owners, made an offer for 75 euro/sq.m. which the HRADF accepted, although adjacent plots’ nominal price for tax purposes is 1,110 euro/sq.m. Neighbouring municipalities, numerous organisations, citizens’ initiatives and the Left have been strongly resisting and mobilising against privatisation and the lack of public access to the seashore, envisaged in the investment plans.. The Court of Auditors recently froze the sale (Act 197/2014), considering that it violated the principles of transparency, equal treatment and competition, as highlighted in the Parliament by the opposition parties at the time. The founding of HRADF itself, the manner in which public property was transferred to it and the procedures it follows have been critiqued as illegal and unconstitutional (Marangopoulos Foundation 2014, Kasimatis 2014, Hadjimichalis 2014) but will not be described here systematically. The following table and map 1 present the categories of properties for sale by the HRADF in Attica, which do not include infrastructure (airports, ports, Hellenic Railways). Apart from the former airport of Ellinikon and 48 other buildings, nothing has been sold yet. Source: HRADF, properties posted in the tables until October 2014, processed by author. However, the seizure of public land in Attica did not commence in 2010 following the bail-out agreements. 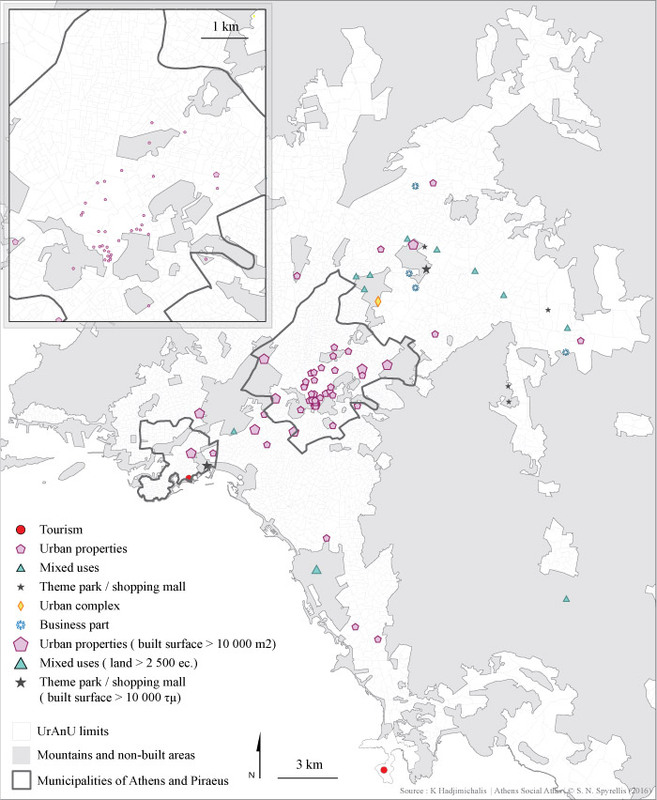 In the brief period between 2010 and 2015, the public property assets seized are larger, with high rents and include locations with unique natural and ecological features. In addition, they are accompanied by dramatic planning framework changes in favour of Capital. However, public land seizure begun when the Greek state was established and is a long-standing feature of Greek social structure. One could count thousands of violations by individuals, entrepreneurs, monasteries, the church and municipalities using all kinds of illegal construction and land title forgery combined with a lack of interest in securing the State interests in public property. The seizure of public land and public spaces is realised in multiple levels: from vast stretches of land for mining and illegal quarrying, to tourist real estate with golf courses and encroachments of the coastline, to illegal land clearing of forests for crops, thousands of illegal buildings, the occupation of squares and pavements by tables and chairs or sunbeds on the beaches. The main reason for land-related abuses and illegal activities, but also for the delays in privatisation and sell-off by the HRADF, is the lack of a National Land Register. Essentially, due to a variety of factors, the state is not fully aware of the actual size and location of its real estate assets. Other than the lack of a land register, other important factors are the fragmentation of public services dealing with public land, the weakness or indifference of civil servants and the combination of political expedience and corruption. 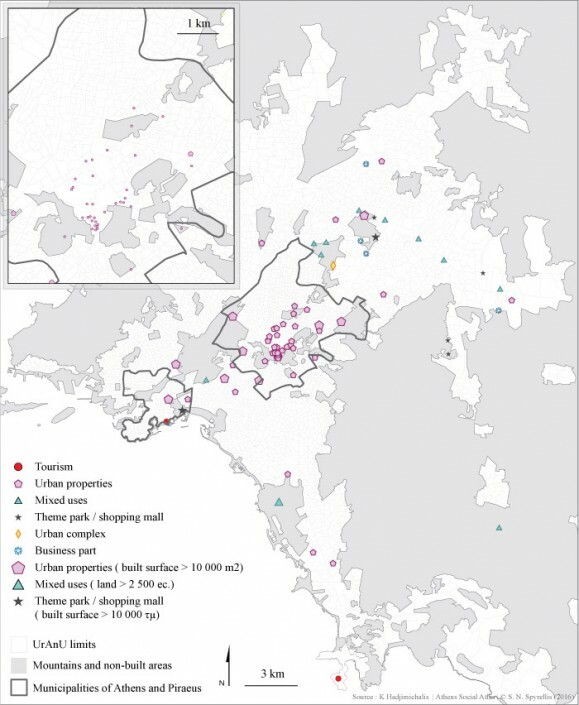 Public land in Attica has been the victim of development in the capital, small plot seizures for private use and small-scale commercial utilisation by all social classes and social groups (figure 2) were not exceptional historically. Speculative large-scale land seizures; appeared sporadically since the 19th century and en masse/aggressively much later, in the 1990s, prior to and following the preparations for the Olympics and via mass privatisations following the bail-out agreement of 2010. . In Ilioupolis, the Nastos family has gradually encroached approximately 1.000 ha of woodland on mount Ymittos since 1920, but held ownership titles for only 300 -400 ha Their legal disputes with the municipality and the state are continuing to this day. In addition, since the 19th century, the alleged “Veikou heirs” encroached 1.500 ha. of land in the boundary between the current neighbourhood of Galaţsi and Nea Ionia in Attica. After the 1960s, illegal real estate development and construction, together with construction in deliberately burned down forest areas, led to the seizure of hundreds of thousands of acres of public land. Indicatively, in the Municipality of Keratea, in 2001 there were 6,000 illegaly built residential buildings compared to 8,500 legally built residences. Figures 3-5 show the expansion of illegal plot subdivision and development from 1950 until 2009. Apart from illegal development, a great amount of public land was seized by building cooperatives and by quarries. There are 220 development cooperatives in Attica, which own approximately 10.000 ha of land. Only 78 out of these hold properties lawfully (e.g. not in forest areas, with legal titles, etc.). Of the remaining 142, 82 are involved in issues concerning forests or protected areas and the Council of State has issued adverse verdicts for 12 of these. In 2000, a public prosecutor’s investigation revealed that in the period from 1960 to 1990, 2000 ha . of land were illegally sold and a vast area of 21.700 ha. was rescued at the last minute. The well-organised illegal ring involved notaries, lawyers, engineers, the head of the Penteli forest service, entrepreneurs and individuals, seven of whom are currently serving prison sentences. The fraud was detected when the area of 21.700 ha in Vari went up for sale in 1999 and a big real estate company wanted to buy it although half of it had been declared a reforestation zone and the head of the forest service had revoked that decision). When the contracts were about to be signed, another company appeared to be buying a large part of that same area from another owner, at the exact same time. The final blow for the forests of Attica in favour of cooperatives and other incompatible uses came in the summer of 2014, with the new Forest Law 4282/14. The church and the monasteries, especially the Monastery of Penteli, are also engaged in public land seizures. “Evagelismos tis Theotokou” church, in Lamia, is claiming 750 ha of land with disputed ownership titles at Pikilo Oros in Attica. It bases its claim on a will from 1916, according to which it inherited a large part of the so-called “Verdi estate”. Since 2011, a new company for managing and developing church property enjoys special tax exemptions, can manage third-party real estate (e.g. of monasteries) and retains the management and gainful operation of properties that may not belong to it. 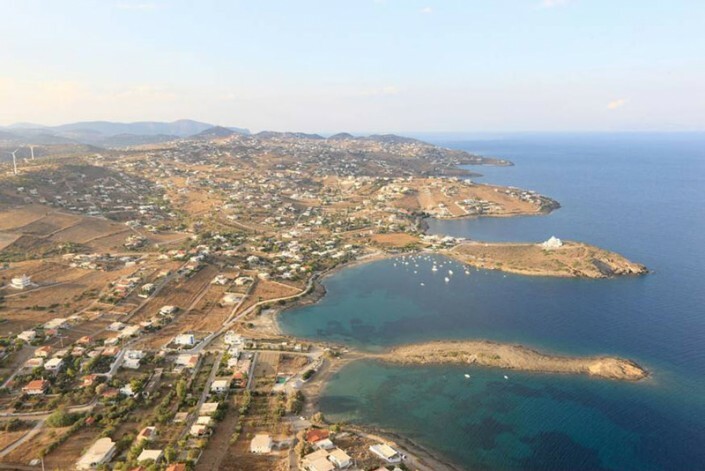 The first sale of that company concerns 8.3 ha in Lemos,Vouliagmeni, while other prestigious sites follow in Kavouri, Kolonaki and the rest of Greece. The coastal front of Attica, has also been targeted. Its development was undertaken by the Attica Costal Front SA, founded by the government in 2012 with the purpose of transforming the coastline from the Peace and Friendship Stadium (SEF) to Sounion into a “Greek Riviera”. Areas of high commercial value were transferred to the company, including 5.86 ha. in Anavyssos and 67 ha in Aliki (Anavyssos), 32.7 ha in Lagonissi, 15.6 ha in Varkiza, 50 ha in Mikro Kavouri and a 36 ha. site in Voula including a beach, a camping site, a night club etc. In addition, there are around 10.000 ha of scattered public and municipal plots, which have also been transferred to the company. Internal conflicts in the government and especially the mobilisation of municipalities and citizens have stalled the process of seizure , but the high price of land in those areas is a tempting target for speculators. 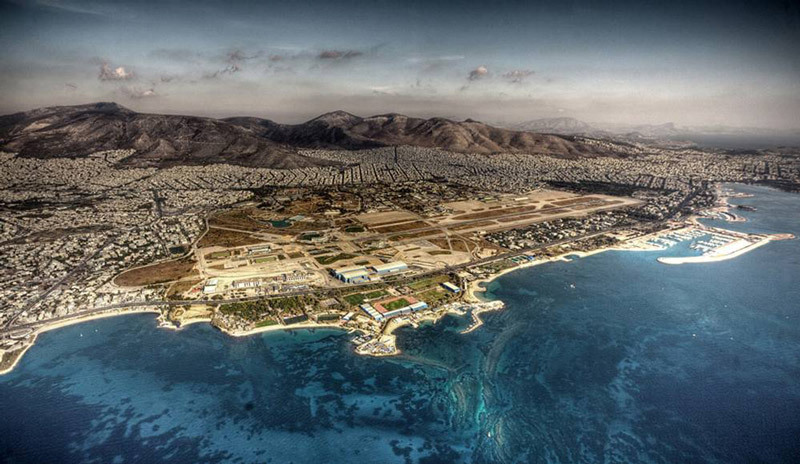 Public land in Glyfada extending from Asteria (Glyfada) to the Agios Kosmas Sports Centre, covering 176,161 sq.m. Faliron bay, covering 757,500 sq.m. (beach volley, Cosmote, Vodafone Wind Antennas, TAE KWON DO stadium). Land area of 64,100 sq.m. in Anavyssos of Attica. (Restaurants, Fishing shelter – P. Fokaia). In Voula, Attica, 90,095 sq.m. from the 1st Voula salt meadow to the 2nd salt meadow. (Nautical Club, NOTOS, Vivemar). Voula – Megalo Kavouri 62.275 sq.m. (* Voula Beach B). Voula Coast salt meadow, covering 146,665 sq.m. (Voula South Beach A and Irinikos Beach Restaurant). The land of the former Anavyssos salt pits, covering 669.095 sq.m. Land area of 9,220 sq.m. in Anavyssos,Attica. Land area of 8,860 sq.m. in Agios Nikolaos, Anavyssos, Attica. Land area of 258,250 sq.m. in Lomvarda – Kropia, Attica (MOHITO BAY). Land area of 326,315 sq.m. in Anavyssos,Attica. (GRAND RESORT). Alimos Coast 69,725 sq.m. (Helios Coast – Bolivar). Land between the Flisvos Marina up to P. Faliro, covering 90,825 sq.m. (Flisvos Park). Land area of 20,420 sq.m. in Alimos, Attica, from Alimos’ beach to Agios Kosmas. (Playgrounds, Grove). Land area of 278,000 sq.m. in Glyfada, Attica. (Asteria Glyfada). Varkiza Coast, covering 252,000 sq.m. (VARKIZA RESORT, YABANAKI, THALASSEA). Mikro Crab – Vouliagmeni (Vouliagmeni Beach) covering 96,000 sq.m. Mavro Lithari, with a length of 1,000 m. (EDEN Beach). Note: Based on this announcement, the AAA has asked for the issue to be discussed in an upcoming Attica Regional Council meeting. ΙΜΔΑ (Ίδρυμα Μαραγκοπούλου για τα Δικαιώματα του Ανθρώπου) (2014) ΤΑΙΠΕΔ: Όργανο Εκποίησης της Περιουσίας και Κατάργησης της Εθνικής Κυριαρχίας της Ελλάδας. 2ο έκδ. Σαγκουνίδου Δασκαλάκη Η (επιμ. ), Αθήνα: Νομική Βιβλιοθήκη. Κασιμάτης Γ (2014) Η δέσμευση της δημόσιας περιουσίας με τις δανειακές συμβάσεις και το ΤΑΙΠΕΔ. 2ο έκδ. Στο: Σαγκουνίδου Δασκαλάκη Η (επιμ. ), ΤΑΙΠΕΔ: Όργανο Εκποίησης της Περιουσίας και Κατάργησης της Εθνικής Κυριαρχίας της Ελλάδας, Αθήνα: Νομική Βιβλιοθήκη, σσ 77–86.